Lemon Tree Hotel, in Kaushambi is on the top floors of the East Delhi Mall, in the heart of East Delhi’s commercial and residential buzz. A short distance from Noida, Ghaziabad, Sahibabad, Pragati Maidan and ITO, the hotel is also close to major tourist attractions like Akshardham and Old Fort. 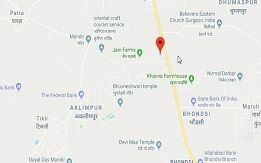 Red Fox Hotel, East Delhi, strategically placed in Mayur Vihar, is a short distance away from Noida Electronic city, major BPO and ITES hubs, Anand Vihar Bus Terminal & metro station, Buddh International racing circuit, Delhi Expo Mart and Pragati Maidan. 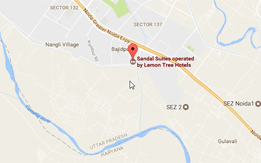 The hotel is also near many tourist attractions like Akshardham Temple and Old Fort.